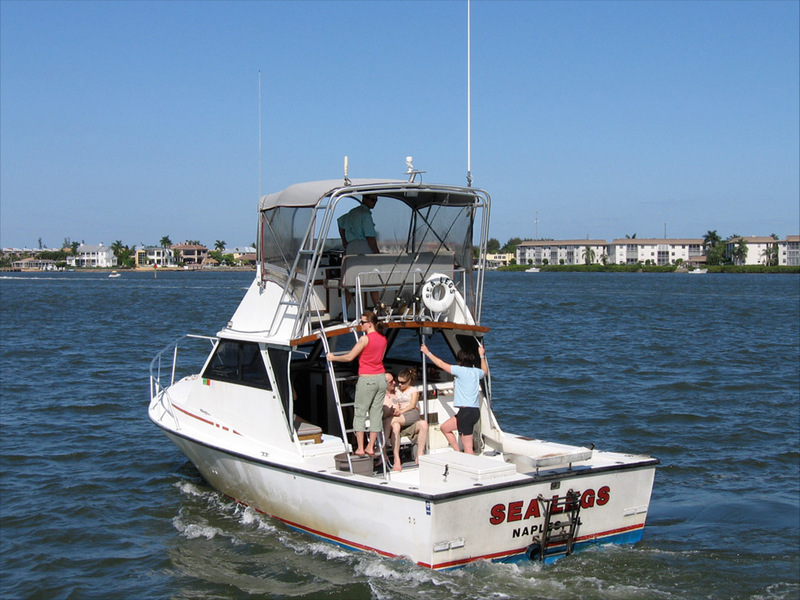 Captain Tommy Robinson and his custom built 31' boat the "Sea Legs"
are ready to take your group or family on an exciting deep sea fishing charter or private sightseeing excursion throughout the Naples, Florida area waters. The Sea Legs is geared for up to 6 passengers and has a restroom, galley, dinette, shaded cockpit and modern electronics. 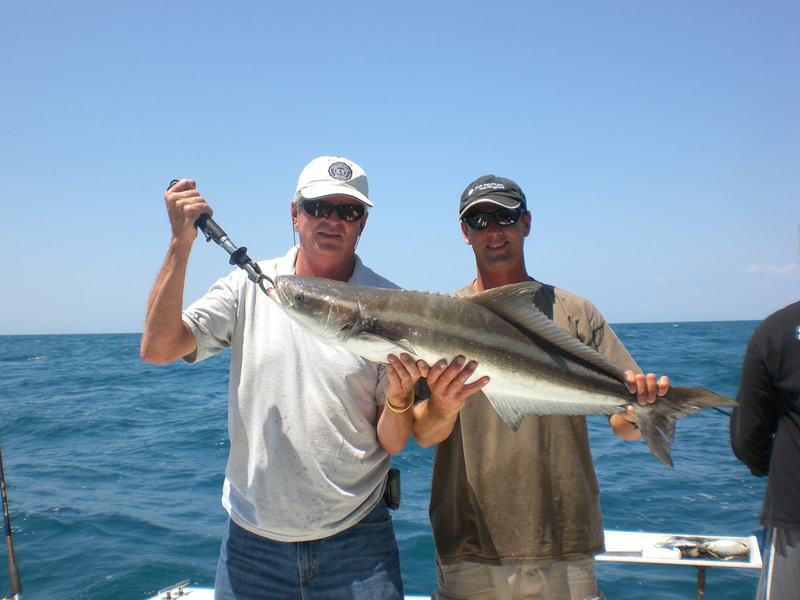 Knowledge of "secret fishing holes"
Half day, three quarter day and full day excursions. 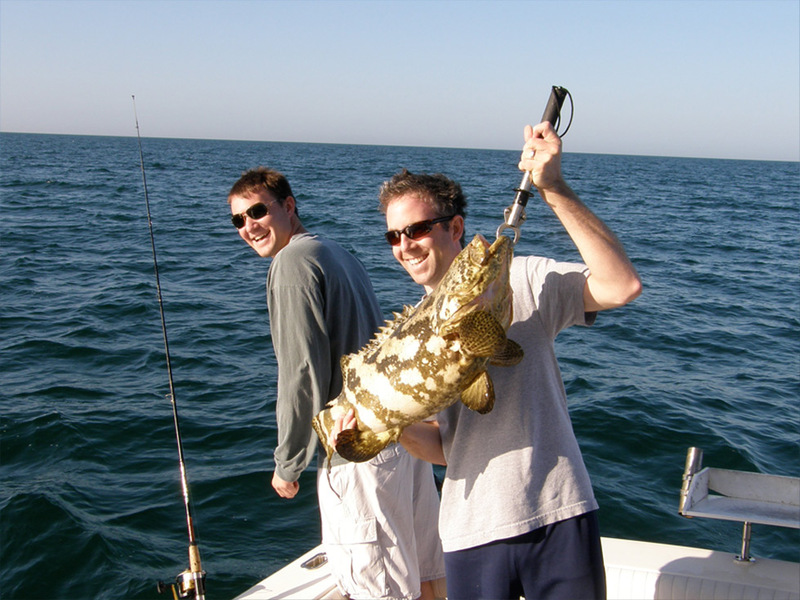 Night fishing and private sightseeing are also available. Tackle from light to heavy, ice, bait, and license is included. A Captain and 1st Mate to serve you. The weather is awesome. The fishing is great. 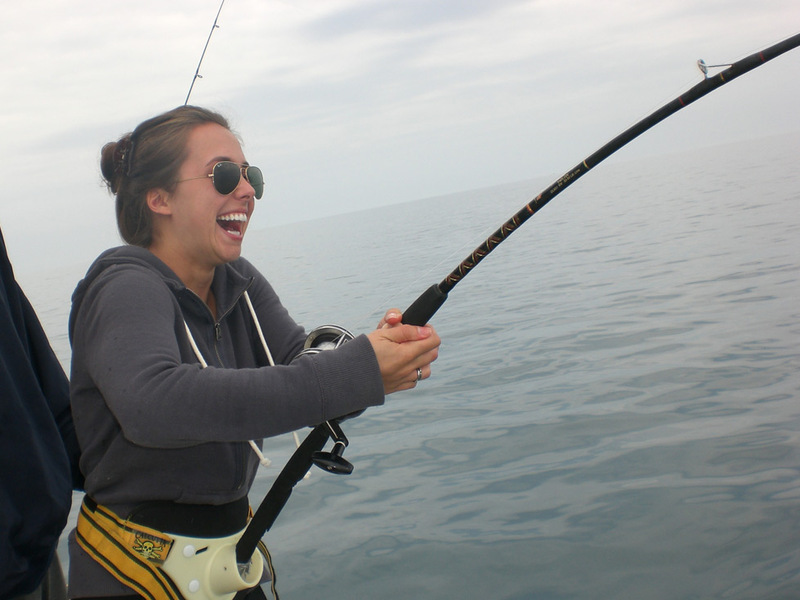 We have been catching grouper, snapper, and a variety of reef fish. Every trip we go on it seems a shark comes along and has to have his pound of flesh! We have yet to catch him, but he has been spotted cruising around the boat. The water temperature is in the mid seventies and gives our customers an idyllic air conditioned feel. I recommend you call or text and set up a time to get out there before the water gets hot!